Turn the oven broiler on high and adjust oven rack to the top position, about 5 inches from the heat. 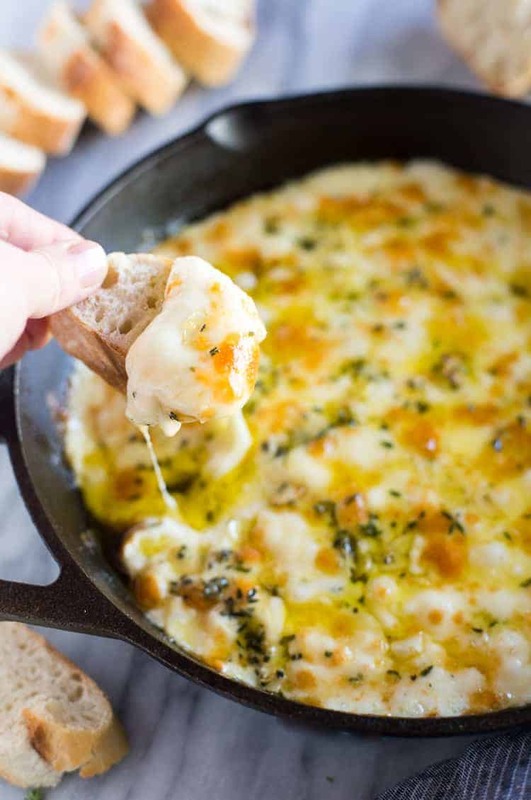 Place the Fontina cheese cubes in the bottom of a 12 inch cast-iron pan (or similar size). Drizzle olive oil on top of the cheese. In a small bowl combine sliced garlic, fresh thyme, and fresh rosemary. Sprinkle the mixture over the cheese and olive oil and season with salt and pepper. Broil for 5-7 minutes or until the cheese is bubbly. Serve immediately with the slices of French baguette. Recipe inspired by Ina Garten, Food Network.